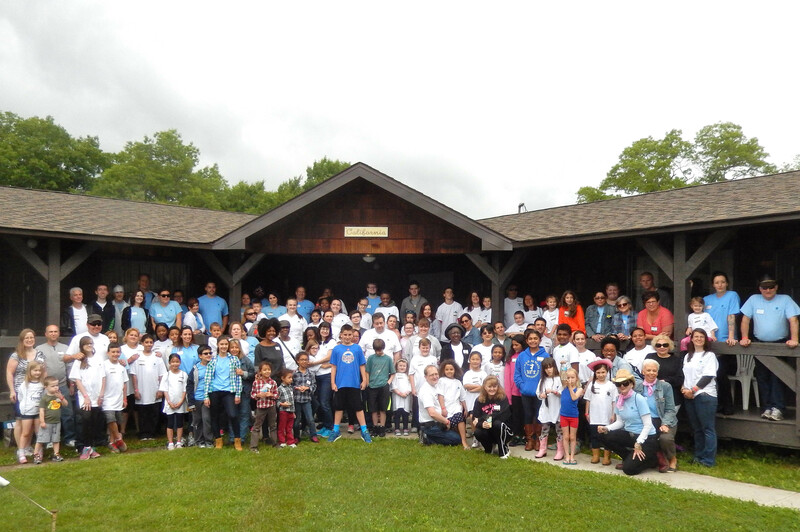 On the first weekend of June, CancerCare hosted the seventh annual Healing Hearts Family Bereavement Camp, a free retreat for families with children coping with the loss of a loved one to cancer. 31 families spent the weekend at Malibu Dude Ranch in Milford, PA at a star-themed retreat, where they swam, rode horses and processed their healing journey. There were many tears shed but also laughter and friendships made. We were so pleased to hear that every family asked to come back next year. On the first morning of the retreat, the families came together to create a memory quilt and memory collages. For the quilt, each family contributed a photo of their loved one, which was then ironed onto a quilt square. Families then personalized their quilt square, and CancerCare staff and volunteers tirelessly worked to sew the meaningful quilt together during the afternoon hours. For the collage, each family created a star decorated with drawings and words. The stars were then arranged to create The Big Dipper constellation, which was able to glow throughout the night. The camp also provides age-appropriate therapeutic grief activities, encouraging both kids and teens to express their emotions in creative, collective ways. On Saturday afternoon, the younger children had the chance to meet Muffin, a therapy bunny brought to the camp by owner Nancy Laracy. CancerCare social worker Claire Grainger, LCSW, then read to the children from her book, “My Daddy Sits Upon a Star.” The younger children also learned a dance to the song “A Sky Full of Stars” by Coldplay, choreographed and led by our own extraordinary dancing social worker, Sarah Kelly, LCSW. Meanwhile, the teens wrote a song titled, “Shining Star, Shining Bright,” with the help of Meaghan Farrell and Andy McNamara, two well known singer songwriters. The adults were given the time to share their stories with other bereaved adults in four separate support groups geared toward their situations, including a group for men experiencing the loss of a spouse, women experiencing the loss of a spouse, parents experiencing the loss of a child and others experiencing the loss of a mother or sibling. Each group also addressed the concern of raising children in a bereaved home. Click here to read Part 2 of this blog post. 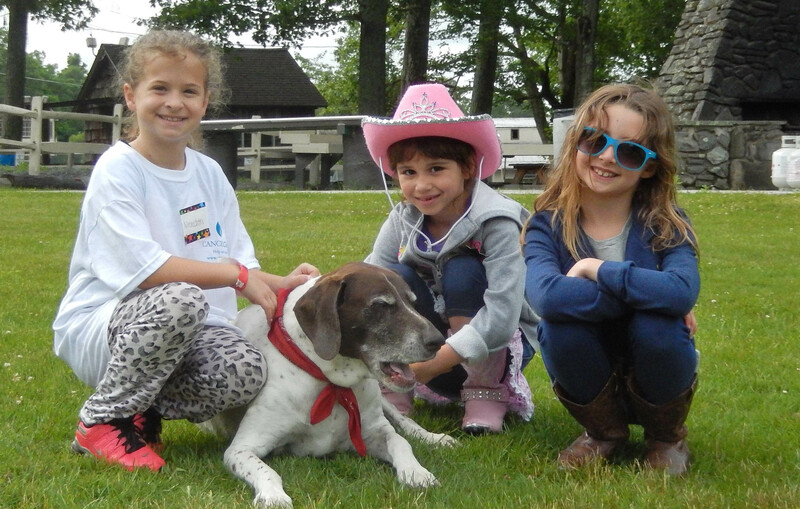 Click here to view photos from the 2015 Healing Hearts Family Bereavement Camp.